General Paper Guide: To what extent are small businesses in your country still affected by the recent financial upheavals? To what extent are small businesses in your country still affected by the recent financial upheavals? Note: This is not a essay but will help you brainstorm how to write one on this particular topic. 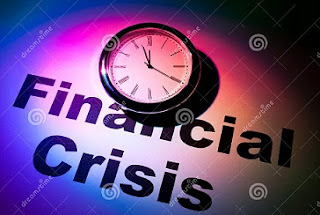 Here recent financial upheavals refer to the global recession that started in 2007 in the US and western countries that later spread to many other countries. Some countries were hardly hit, for example, Greece and Spain, whereas others withstood it pretty well like Germany and Australia. Most of the countries were moderately affected. Now in this essay, you have to discuss briefly how your country was affected in general, then proceed to more specific discussion on the effect to the small businesses particularly. Then you have to discuss in detail whether or not they are still affected and if yes to what extent. The topic probably demands your analysis of the residual effect of the financial upheaval in the small business sector. Small businesses are those mostly owned usually by individual proprietors, and sometimes in partnership with a two or more people. Such business have low capital investment and serve their immediate locality rather than a larger market. Examples of such businesses are small traders like retailers, small restaurants, cafes, street vendors, dry cleaners, and such. Mostly these businesses are either self run or family run with some exception of partnerships. Small businesses are mostly important to the economy because they exist in large numbers and they could be the potential large businesses of the future. Small business are less hard hit compared to the large businesses during the times of financial crisis as they are more flexible and small in size. However, the impact differs from industry to industry. Therefore, it is necessary to analyze the small businesses from different industries or economic sectors. You can discuss the sectors such as information technology, travel and tourism, entertainment, agriculture, manufacturing, trade, and so on. Also, the effects on the small businesses differ from country to country. So, while coming up with your answer, you shouldn't generalize from the effects seen in other countries. Your country might be fully doing well even when other countries are crumbling in crisis. Or that your country might have recovered quickly compared to other countries and that it no longer has the aftermaths or the consequent effects of the crisis.